Zooming Good Time with Author & Illustrator Brian Biggs! Everything Goes On land is a favorite among any fan of cars, trucks or any form of transportation. We've known Philadelphia author and illustrator, Brian Biggs for a some time and we're pleased to finally introduce him to you! Brian is a multi-talented artist working as an art director and graphic designer, animator for interactivity and multimedia projects, teacher, writer, and illustrator. He has written and drawn comics and graphic novels, designed publications, and illustrated for many many magazines and newspapers. He illustrates children's books; for magazines, newspapers, and advertising; posters, toys and puzzles. He also works with animation, music, and various other media. He also has illustrated the picture book series BROWNIE & PEARL, written by Cynthia Rylant and the store favorite chapter book series, ROSCOE RILEY RULES, written by Katherine Applegate. You will receive your free event voucher when you purchase Everything Goes On land. 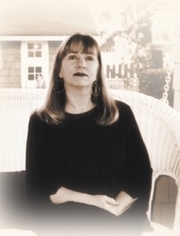 Cynthia Rylant is currently considered a "single author." If one or more works are by a distinct, homonymous authors, go ahead and split the author. Cynthia Rylant is composed of 15 names. You can examine and separate out names.